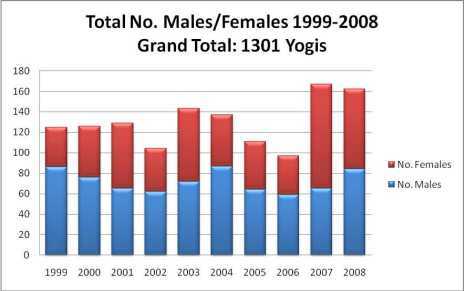 Panditarama was inaugurated on February 7, 1999 and it has been growing ever since. 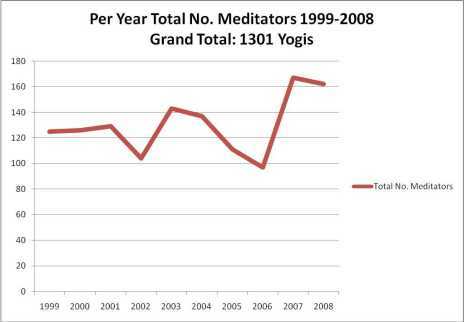 The following two graphics show the evolution of the number of meditators per year. 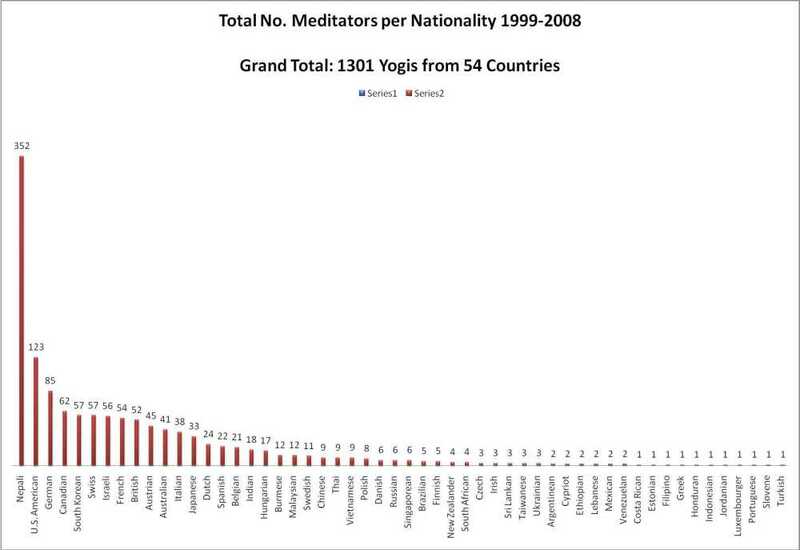 In 1999 there were 125 meditators. 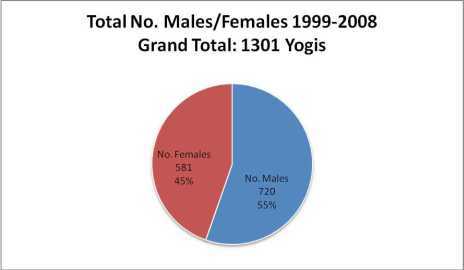 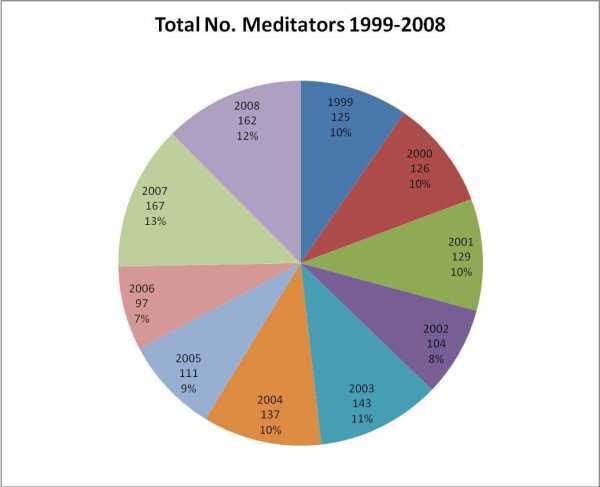 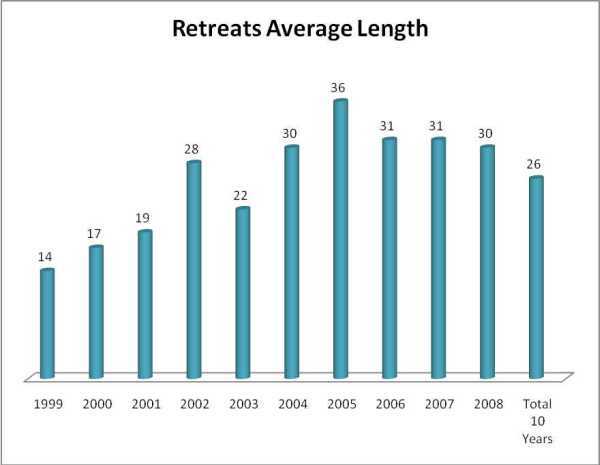 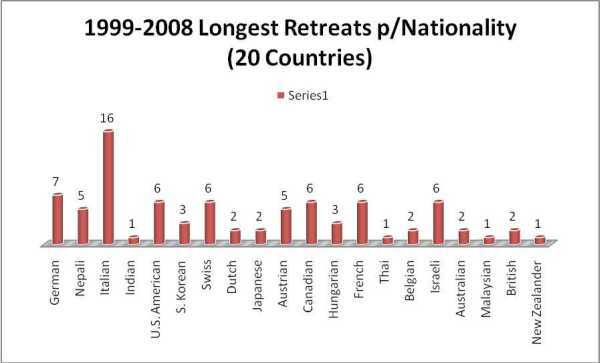 In 2009 there were 208 meditators (only 2008 numbers are shown on these charts). 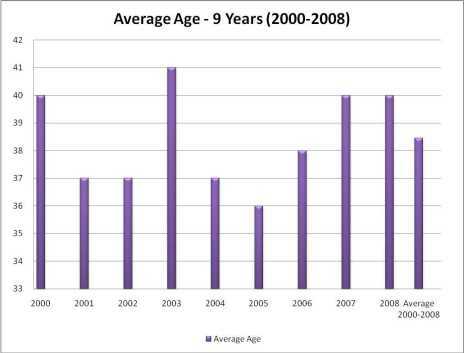 That is a big increase. 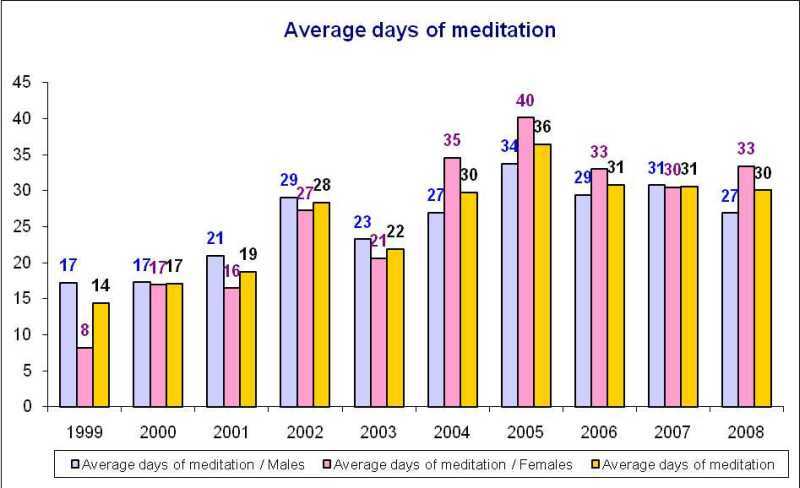 The meditation expands each year. 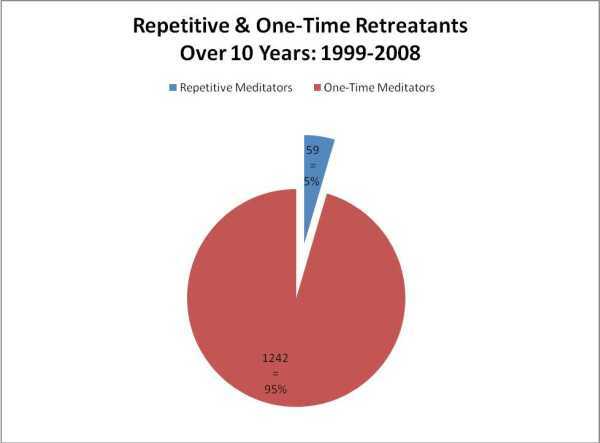 At the beginning, the initial round building had only two dormitory sleeping quarters, for about ten staff plus yogis. 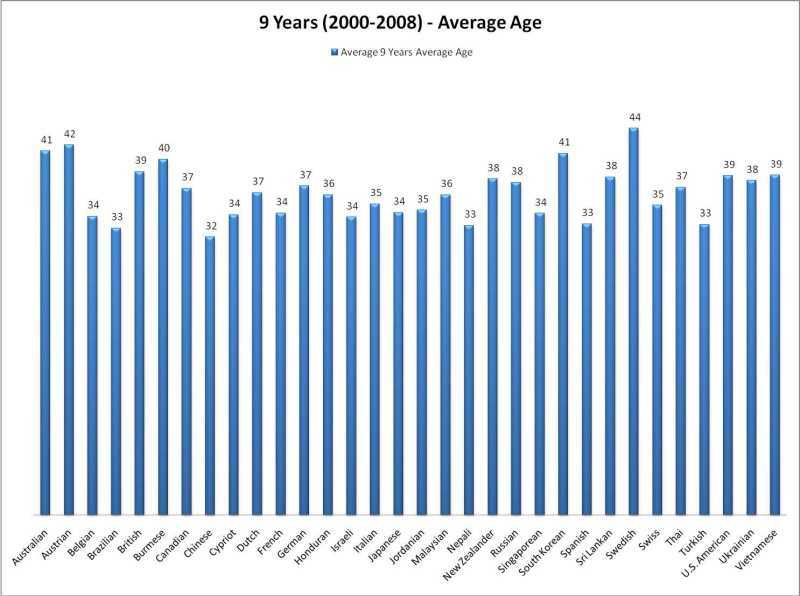 Now there accommodation for about 49. 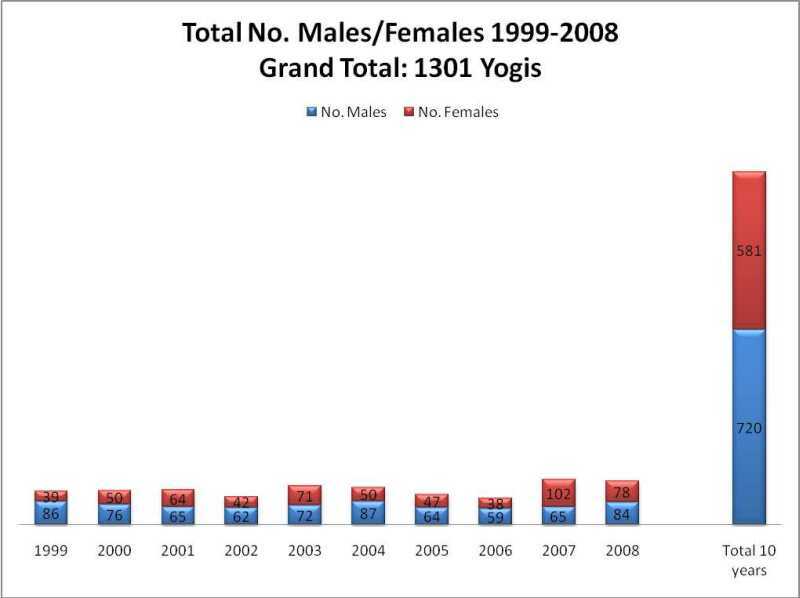 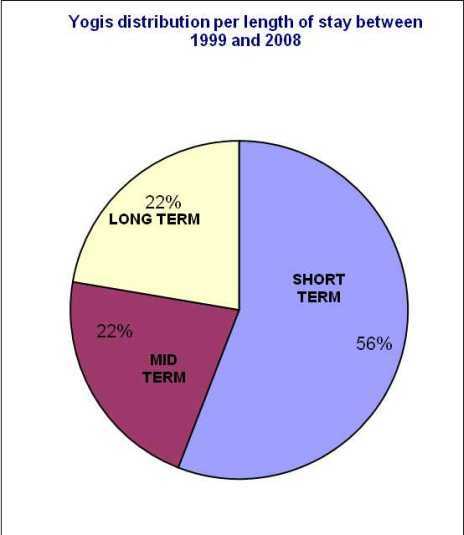 The following statistical graphics the evolution of Panditarama from 1999 through 2008.